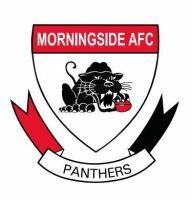 Morningside’s decision to host a home final at Jack Esplen Oval for the first time this year will see them satisfy a number of criteria stipulated by the League to be able to do so. The Panthers and Mt Gravatt have previously won hosting rights to finals but played them at the QAFL headquarters ground at Giffin Park, Coorparoo. Facilities for visiting teams must be at a certain standard and the whole game day presentation must be befitting of a final. Clubs wishing to host finals also pay a fee to the League for the privilege. The first class facilities at Fankhauser Reserve, apart from the visitors’ changerooms, have meant that Southport have always been capable of hosting finals, as have the Brisbane Lions at the Gabba. Redland have also indicated that they are willing, and have the ability, to host a final should they qualify for one during the Velocity Sports Cup finals series.